The koala is one of the world’s most iconic animal species – right up there with the panda, tiger, elephant, dolphin, and polar bear. And they're found nowhere else in the world but Australia! 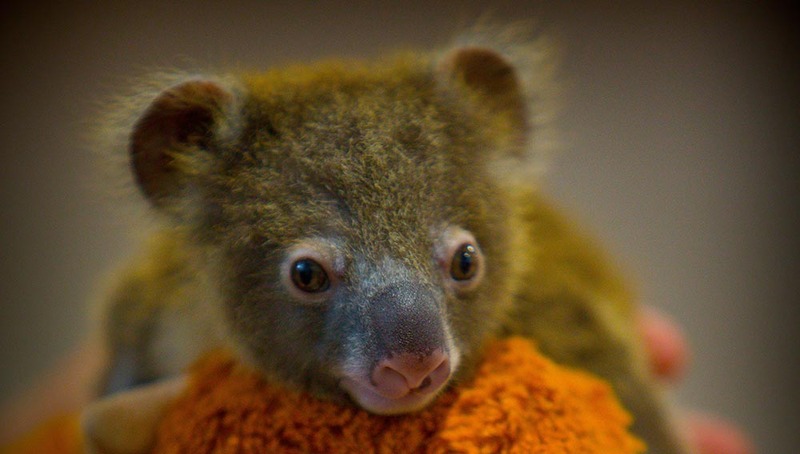 A common mistake is calling them a ‘koala bear,’ they’re marsupials not bears. Find out more interesting facts about koalas. Sadly, being iconic and symbolic is not enough to save the koala from the threat of extinction. In the 1920’s, hundreds of thousands of koalas were shot for the fur trade and now koalas are contending with the consequences of ongoing excessive tree-clearing for agricultural and urban development in Queensland and New South Wales. But there is much we can do to save the koala and the many other species that inhabit the Australian bush. See our conservation work on koalas. The destruction and fragmentation of habitat means koalas must spend more time on the ground moving from tree to tree. This makes them much more vulnerable to being hit by cars and attacked by dogs, while elevated levels of stress make them prone to sickness and disease. Fortunately, sick and injured koalas often make their way to koala hospitals where can they be treated and once they recover can be returned to the wild. Excessive tree-clearing for agricultural and urban development has led to the destruction and fragmentation of large areas of koala habitat. 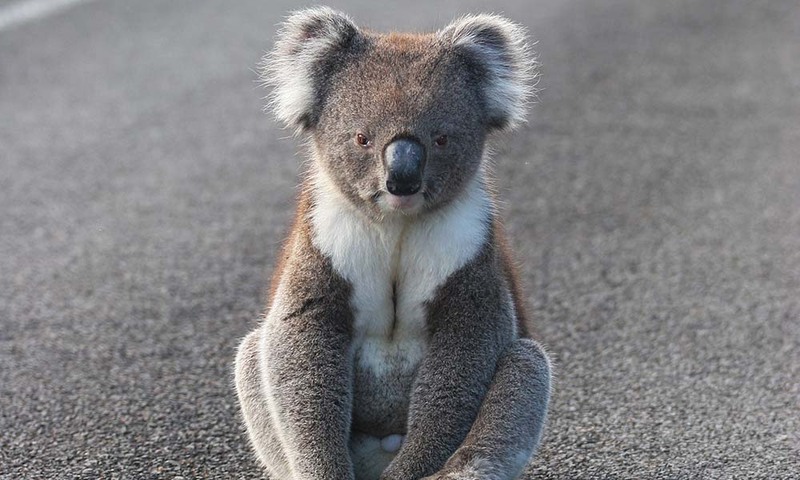 However, the efforts of landowners, farmers, community groups and conservation organisations, with support from governments and corporate partners, are now seeing areas of koala habitat being protected and cleared areas restored to provide future habitat for koalas and other wildlife species. The koala is the quintessential Australian animal, known globally and much loved. People come from all over the world to see koalas at wildlife parks and zoos. It is featured in advertisements, games, cartoons, and as soft toys. In the wild, koalas serve as ambassadors for the many other species that also inhabit the Australian bush. Protecting bushland areas in an effort to save koala populations also protects the habitat of a wide range of animal and plant species such as possums, gliders, wombats, quolls, birds, and reptiles. Koalas also have great cultural significance to Aboriginal Australians and feature in Dreamtime stories, songs, and rock art. On average, males range in weight from around 6 kg in QLD and up to 12 kg in VIC, females range from an average of 5 kg in QLD to 8.5 kg in VIC. Due to the low nutrient levels of the Eucalyptus leaves they feed on, the koala can sleep up to 18 hours each day. The destruction and fragmentation of habitat for agricultural and urban development means koalas must spend more time on the ground moving from tree to tree. This means they are much more vulnerable to being hit by cars and attacked by dogs, while elevated levels of stress make them prone to sickness and disease like chlamydia. There is increasing evidence that climate change is leading to significant koala range contractions in western Queensland and New South Wales. This is due to reduced nutrient levels in Eucalyptus leaves, rendering them of lower quality. There is also strong evidence of the impact of droughts and extremely high temperatures on koalas and the likelihood that these events will not only increase in incidence but in severity as well. • Send a message to key NSW politicians now to ensure a future for koalas. • You can donate to our current appeal to support WWF's conservation efforts. • Join local environmental groups to plant koala food trees in your neighborhood. • Drive slowly and carefully at night. Koalas are nocturnal. Keep to the speed limits. 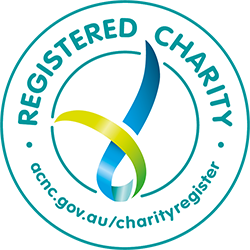 • Carry the phone number of your local koala group or wildlife rescue service in your car. • If you live in koala country, at night lock up your dog. It is not enough to just keep it in your yard – Koalas can climb most fences or trees into yards. • In times of drought or in particularly hot weather, place a container of water at the base of a tree known to be used by koalas.